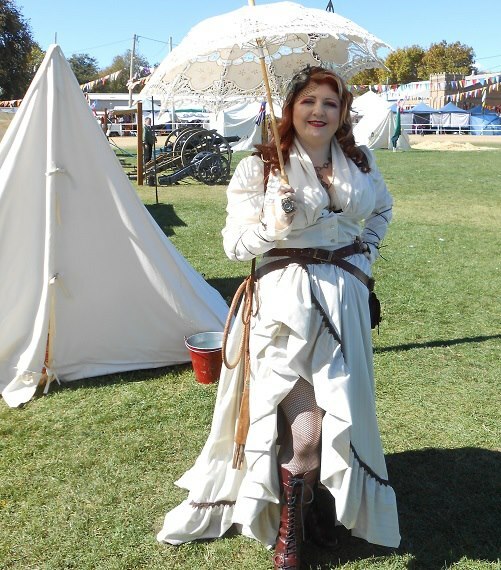 This is me in my latest Steampunk outfit at an event called Ironfest in April in Lithgow, NSW Australia. I have on lace top fishnet thigh highs in brown. They're attached to a handmade leather suspender belt. They were so comfortable and stayed put all day!